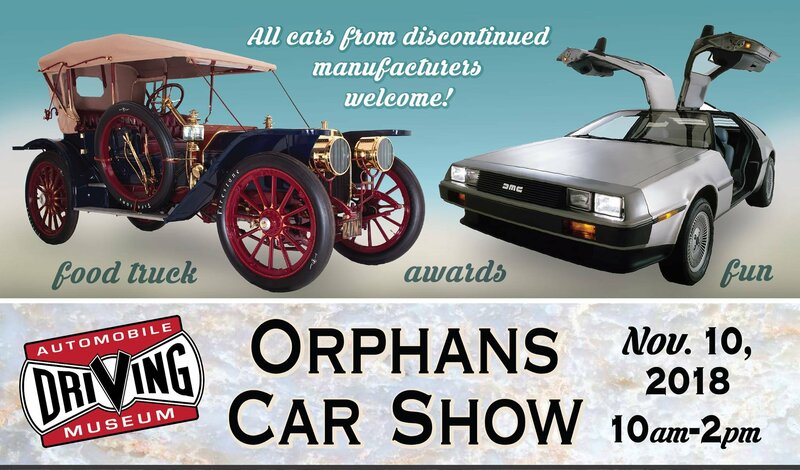 Come join us at the Automobile Driving Museum for our first ORPHAN CAR SHOW! Acme, Auburn, Briscoe, Bantam, Cole, and Chandler are just a few of the A B C’s of notable cars considered “orphaned” in America’s automotive history. Figures differ, but most historians agree that about 2,000 or more makes of cars and trucks flashed onto the scene, only to eclipse and fade into memory. In other words, there are far more makes of cars that had been made than are being made today, even worldwide. What you may call an “orphaned” car is up for discussion, but here we would like it to be open to interpretation and invite you to join us for a fun-filled day showcasing your automobile for hobbyists and spectators alike!